Passive – Focuses on proper natural ventilation throughout home. This system is normally installed before the home is built. 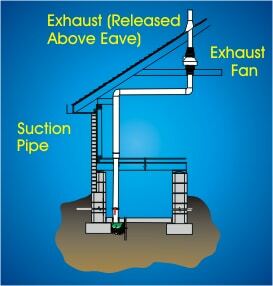 Active – This system uses an Active fan to help expel Radon poisonous gas from home. This system is normally used with existing homes with high Radon readings.